Many people are poor judges of distance. With this, Madam Justice B.J. Brown concluded her decision in the case of Minosky v. Brar, 2011 BCSC 721. The case involved an car accident that occurred at the intersection of 121st Street and 64th Avenue in Surrey BC on a Saturday afternoon in the spring of 2009. Each driver blamed the other for the accident. Each said the other driver could have avoided the crash. 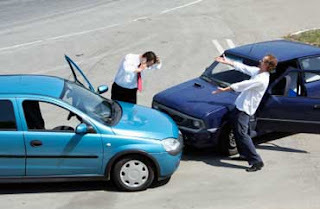 Mr. Minosky contended that Ms. Brar had time to stop her car before it struck the front driver’s corner of his vehicle. Ms. Brar said that Mr. Minosky ignored a stop sign and came into the intersection when she was two to five car lengths away and that she was unable to avoid the collision. Ms. Brar called evidence from an accident reconstruction expert. His analysis, based in part on the damage sustained by the parties’ vehicles, indicated that while Ms. Brar had no opportunity to avoid the collision, given the distances and speeds involved, Mr. Minosky did. Reviewing the evidence, the trial judge found that Mr. Minosky’s version of events was not consistent with the physical evidence, as the damage to his vehicle was primarily to the centre and toward the passenger side of the front of his vehicle. The judge found that Ms. Brar’s car was much closer than Mr. Minosky believed it to be when he decided to proceed into the the intersection and that it was an “immediate hazard”. The Court found that Ms. Brar had no opportunity to stop and avoid the collision. As a result, Mr. Minosky was found 100% at fault for the accident. This argument places too much weight on Ms. Brar’s estimates of distance. When she first concluded that Mr. Minosky was not going to stop, it would have been an emergency situation. She said she slammed on her brakes and honked, but was not able to avoid the collision. In these circumstances, I do not expect that a person would be able to measure with precision the distance between her vehicle and the vehicle with which she was about to collide. I give little weight to Ms. Brar’s estimates of distance. Many people are poor judges of distance. However, I do accept her evidence of how the collision happened.